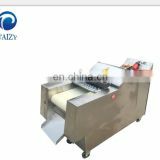 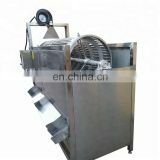 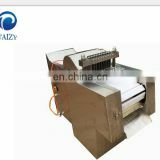 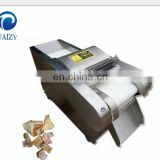 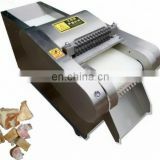 As you can see in the picture, the pan at the top of the machine is made of stainless steel. 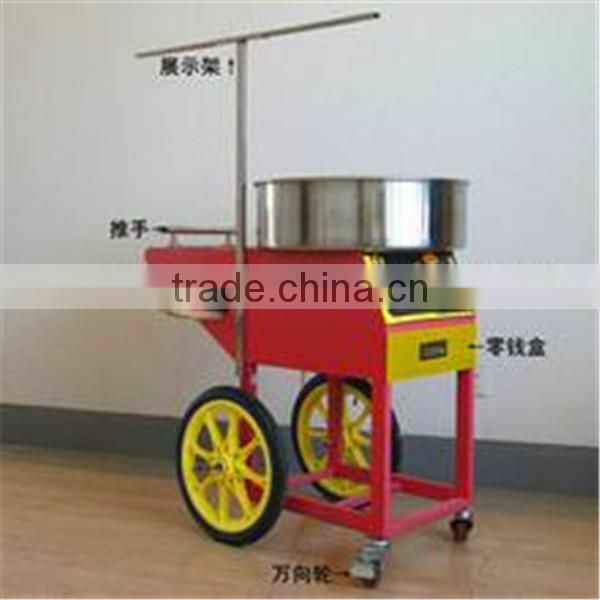 The plate cover in the center of the pan is made of copper, while the traditional ones are made of aluminum. 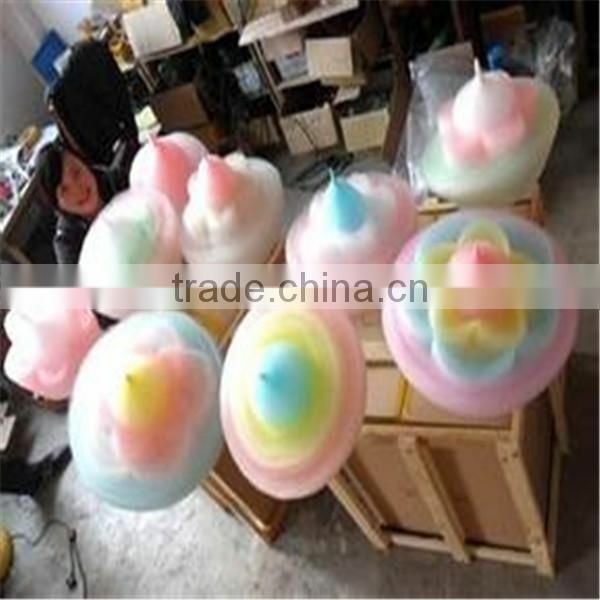 As we all know Copper material has better thermal conductivity than aluminum, so the taste of candy floss is better too. 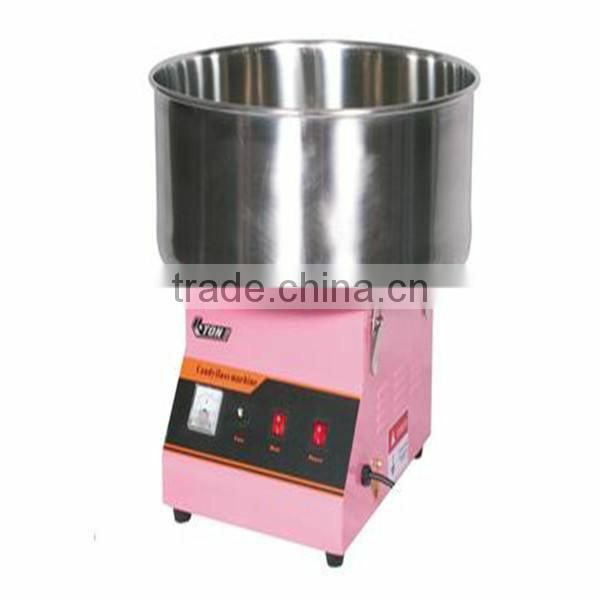 And this can also reduce the quantity of waste sugar. 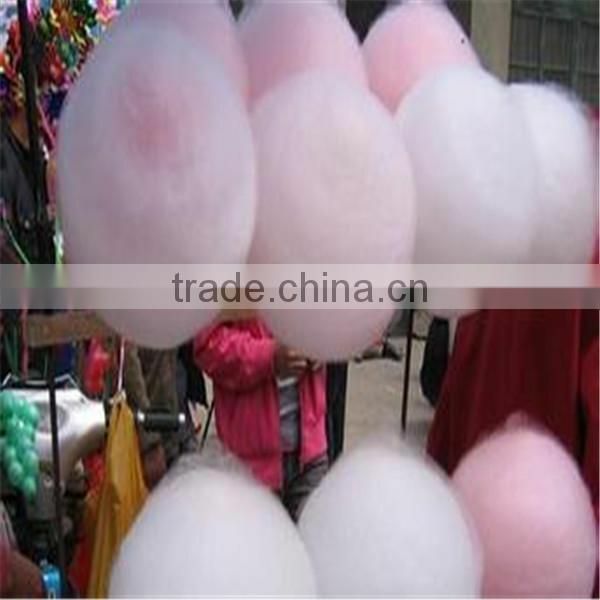 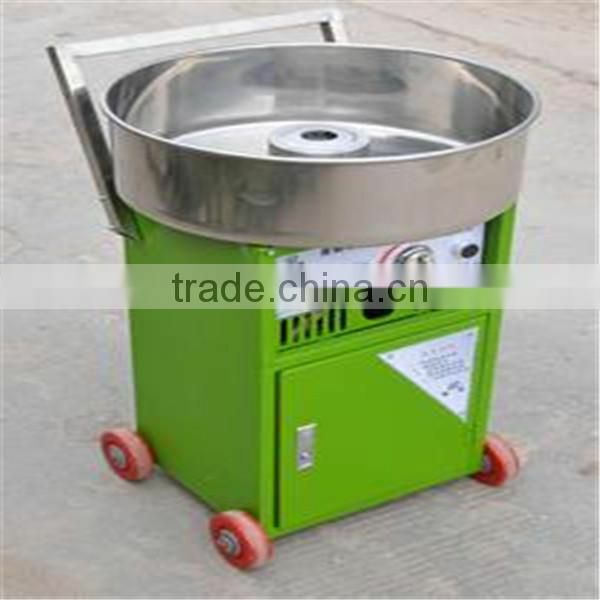 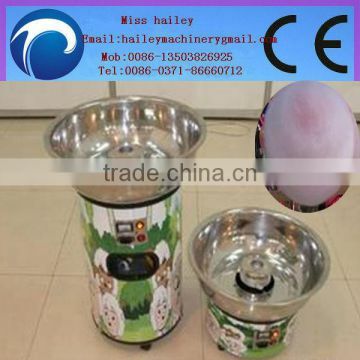 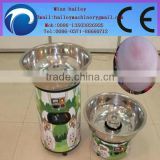 1.This candy floss machine takes sugar as main material, if you add some special flavors,you can get more colorful and delicious candy floss. 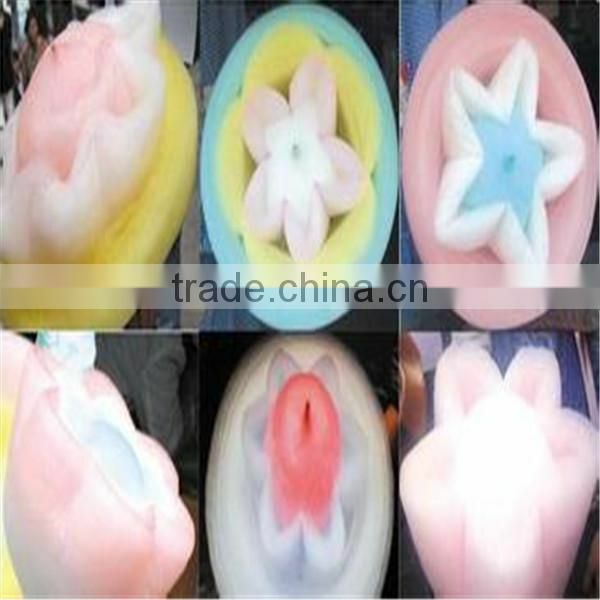 Such as white, red, yellow, orange and apple, strawberry, juicy-peach, watermelon, litchi, mango etc…They are not only healthy, but also delicious. 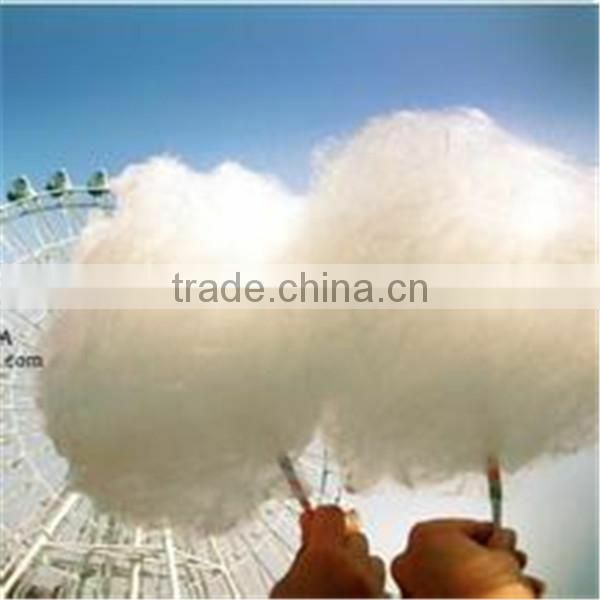 2.Our products have got CE certificate.